DS5 Drum shield Six section drum shield, drum screens or drum shields Items included in your purchase. 6 panels Full 1/4" x 24" x 60" Crystal clear acrylic 15 Bright Chrome Hinges or Living Hinge which easily attach and hold panels tightly. Total Height;5 ft. With easy assembly instructions. 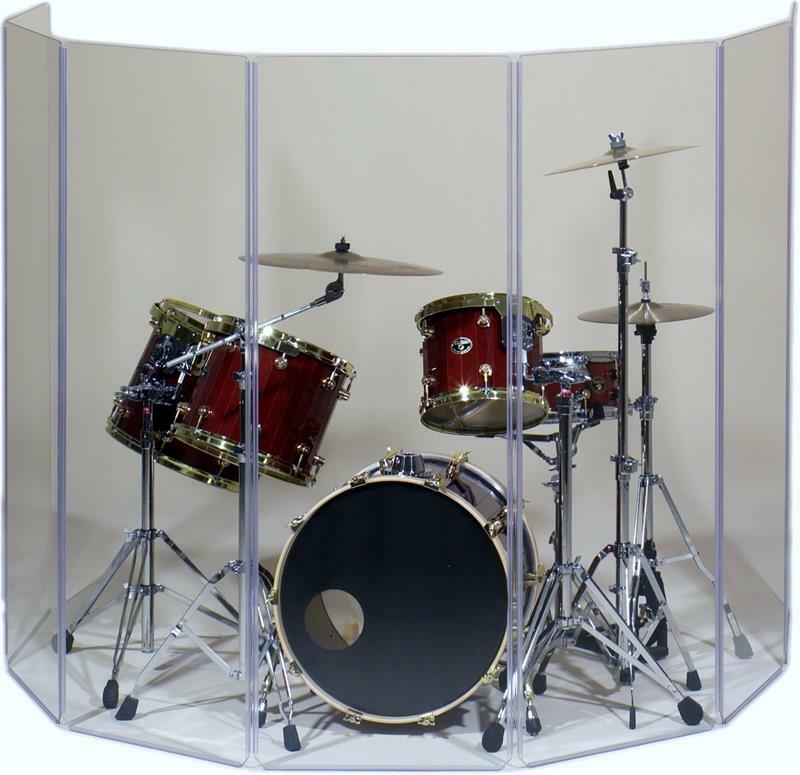 Welcome to our drum shields & custom Acrylic drum shield and drum screen panels, for Drum sets, Drum kits and drum n bass. We take great pride in these drum shield enclosures and the quality of their construction. With 15 years of custom fabrication in the plastics industry behind us, we can construct any possible enclosure for your drum sets, drum kits, drum and bass, or any type of sound or noise that you need to control.